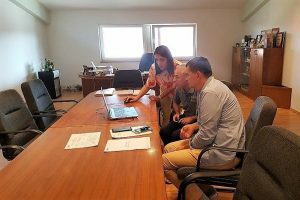 Within the project “Partnership for quality jobs and competitiveness”, implemented by Prnjavor Local Partnership for Employment Prnjavor and supported by the European Union, three salesmen for meat products were trained and then employed in MI Trivas from Prnjavor. In the forthcoming period, they will use acquired knowledge and experience and work on development of distributive network of the company MI Trivas. Also, a training of two welders has begun in the Topling Company within the project. Interestingly, one of them is eighteen years old, so that he is the youngest participant of the training for work in industry within the project “Partnership for quality jobs and competitiveness” so far. 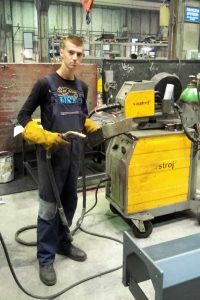 Within the project, 21 of the planned 50 persons have been trained and employed so far, while 75 unemployed persons will be trained in metal processing, wood processing, food and footwear production through trainings organized by the Local Partnership for Employment Prnjavor.